RV Show Season is in full swing! 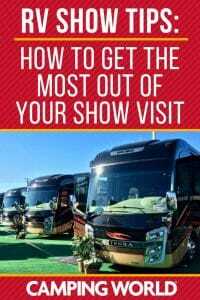 If you’re thinking of purchasing a motorhome or towable RV or just want to learn more about how to make the most of your RV experience, attending a local show is a terrific idea. For the uninitiated, visiting an RV show can also be a big undertaking. They can cover acres of space and the sheer volume information available can be overwhelming. Follow these simple tips to get the most out of your RV show visit. Try to attend the first day to allow yourself time to return if you find something you like. Even better, break it up—look at RVs or products one day and attend seminars another. Wear comfortable shoes. Some of these shows are very large, and you’ll be doing a lot of walking. Bring snacks. Many shows will have food vendors, but the lines can be long and your choices may be limited. Check out the schedule and map online in advance to identify those models or seminars you don’t want to miss. Spend time in the models you like. Sit in the driver’s and passengers’ seats. Try out the bed. Open and close cabinets and drawers. Stand in the shower and see how you fit. Pretend you’re prepping & cooking a meal. You might feel a little silly, but it will give you a better feel of the RV. 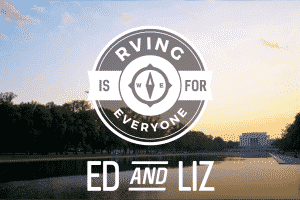 Take notes & photos of the RVs you preferred. Include the exact model and configuration, length, price, and other items you liked or didn’t like about it. At the end of the day, make a short list. Then go back the next day after you’ve had a chance to think about them, and revisit your favorites. 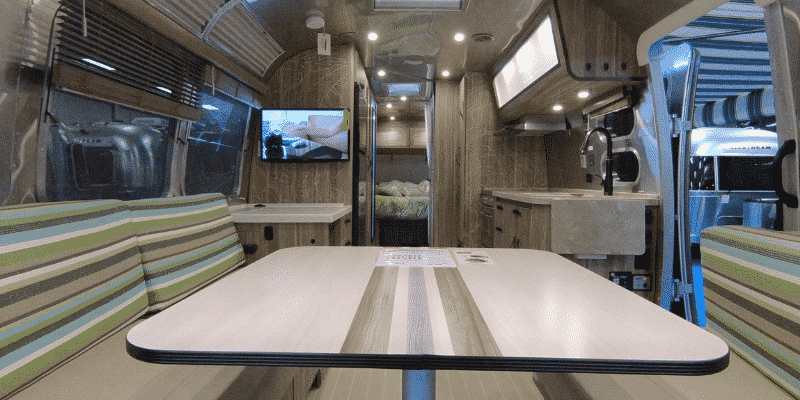 RV Shows are still valuable even if you’re not in the market for a new RV. Most shows offer a variety of ways to learn more about RVing and RV related products. Seminars: Check the show schedule to see if there are any presentations offered. Many shows have veteran RV travelers who share knowledge on topics like “Basic RV Maintenance” or “RV Trip Planning.” Listen in and ask questions. Sean & I present at several Good Sam RV Shows throughout the year. Click here to see if we’ll be at a show near you. Product Demonstrations: Often vendors will also conduct live demonstrations so you can see products in action. Manufacturers: When you go to the dealership, you often only get a chance to talk to the folks in sales and maintenance. 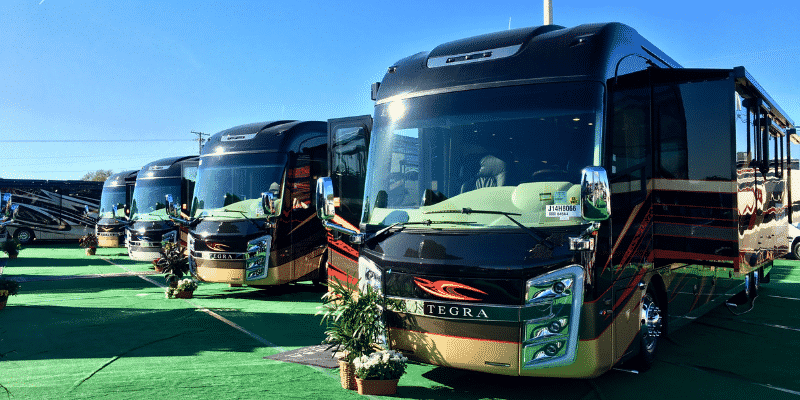 Many of the RV shows will have representatives from the various RV manufacturers and components right there to talk to you and answer your questions. 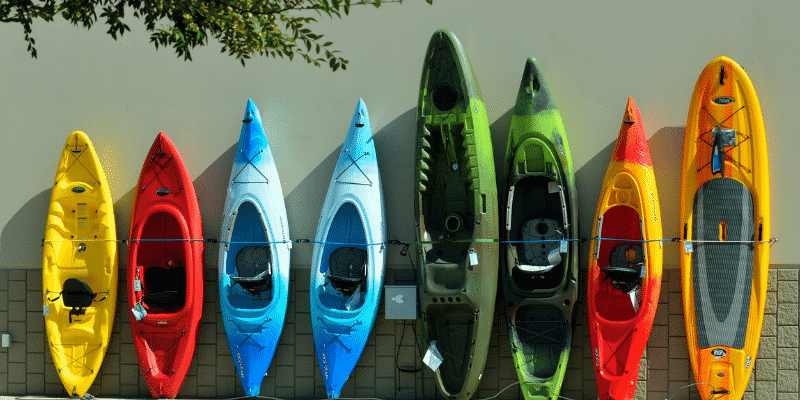 Vendors at RV shows offer every type of gear imaginable from tire covers to inflatable kayaks. Looking for a new bed that fits just right in your RV? They’ve got you covered. Need an internet or satellite TV solution? Don’t worry, vendors will have plenty of options for you, too. Everything you can imagine for your RV and outdoor adventures can be found at an RV show. One of our favorites perks of attending RV shows is finding great new destinations and campgrounds to explore. If you don’t have enough time to stop by every booth, focus on the ones on your top travel wish list. You can also check the exhibitor list in advance online to make a short list of the booths you’d like to stop by. So how about it? What RV show are you attending this year?